Last week I posted about ways to get rid of unwanted stuff. One of the things I talked about was consignment shops. We have a great consignment shop in the area, they carry quality stuff at great prices but they are so popular it often takes months to get an appointment with them. I decided to try out a new consignment shop that opened across from where I work. I wanted to try them because it was convenient, they could take the stuff right away and they were not very picky. I made the mistake of letting them price out the merchandise I dropped off. Since we split the money 50/50, I assumed that it would be in her best interest to get the most she could for some of this stuff. I was wrong, she sold all of the good stuff in the first couple of days which had me pretty excited but then I found out how much she sold it for. We had a $200 stroller that we bought when we had our second child. It had room for the baby upfront and a place for our toddler to sit in the back. We only used it for about a year and it was in fantastic shape. She sold it for $15! She sold that, a high chair, a pack and play and some clothes which made me a whopping $16.50. I could have gotten a lot more using ebay or Craigslist and probably should have just tested the new shop out with one or two big items and a box of clothes. Oh well, live and learn. I can feel good that a family that needed a new stroller and high chair at a very cheap price, it’s no longer taking up room in my house and I got a tiny bit of money for it. 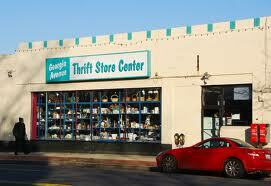 Have you ever sold at a consignment store? What was your experience?